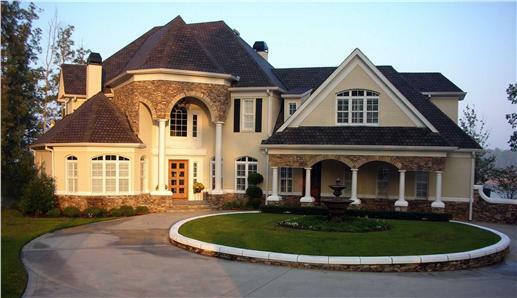 All I want for Christmas is my very own beautiful home. Do you think my dream home can be on your delivery list? As 2015 approaches and the real estate market opens up a bit more, it seems that owners of the ultra-exclusive homes in the world prepare to sell their prized possessions. Fasten your seat belts as we take a look at some sky-high prices and spectacular properties, including Villa La Fiorentina in the French Riviera, Palazzo di Amore in Beverly Hills, a penthouse in New York City’s CitySpire Building, and for a mere $43 million, the Chateau Carnarvon in Texas. Originally built in 1917 by the Countess Therese de Beauchamp, Villa La Fiorentina lies on a vast expanse of land on the Saint-Jean-Cap-Ferrat Peninsula on the French Riviera. The property—modeled after a Florentine palace—has a fabulous private park, landscaped gardens, and spectacular unobstructed views of the Riviera. An aerial view of the Villa La Fiorentina, with its private park and gardens. You’ve always imagined living in a chic French villa like this on the waterfront—secluded, quiet, elegant, and relaxing. But with a staggering price tag of $525 million, it may be out of reach! Walk down the tree-lined grand pathway to the waterfront and great vistas of the French Riviera (left). On the right is a close up of the main house in the villa with its lush greenery and landscapes. This two-story, six bedroom, seven-and-a-half-bath luxury Mediterranean style home on the waterfront, with its covered balconies, porches, and a residential elevator, may be more attainable. The master suite has a sitting room and private balcony. You can escape to its library for some quiet reading, watch movies/play video games in the media room, play billiards in the game room, and enjoy the ocean from a private deck—or just relax. Arches, columns, and a landscaped courtyard add to the attractive features of this Mediterranean style home (left), an alternative to the Villa. On the right is an aerial view that shows the terra cotta roof, the lush greenery, and the waterfront behind the house (Plan # 107-1011). Here is a view from the rear of the home and the private balconies where you can look down at the swimming pool and out to the water (Plan # 107-1011). Sitting on 25 acres, 53,000 square feet of living space, 12 bedrooms, and 23 bathrooms, the Palazzo di Amore in Beverly Hills is the most expensive home for sale in the United States. Owned by real estate tycoon Jeff Greene, Palazzo di Amore has its own vineyard, guesthouse, gardens, spa, theater, ballroom, bowling alley, game room—and a sticker price of $195 million. Walk through the iron gates of the Palazzo di Amore in Beverly Hills, and be prepared to set eyes on the spacious and luxurious courtyard, complete with a fountain and exotic trees. The magnificent double staircase is made of marble and intricate metalwork on the railings (left); the grand ballroom has a revolving dance floor, painted ceiling, and views of the ocean. For a lot less, you can live luxuriously in a two-story, six-bedroom, seven-bath French European home situated on an expansive property with a fully landscaped courtyard entry, covered lanai, and front and rear porches. The interior includes a Great Room/Family Room, beautiful spiral staircase, balcony, study, kitchen with a keeping room, butler’s pantry, morning nook, and office nook. 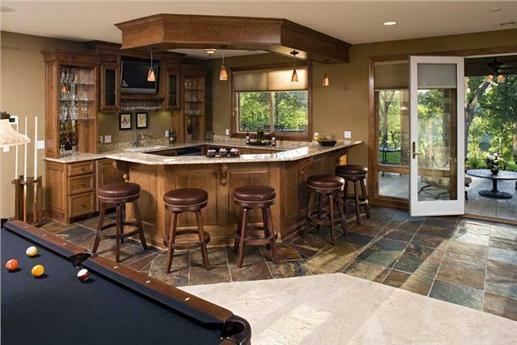 The home also comes with game room, kids’ study, media room, and theater. 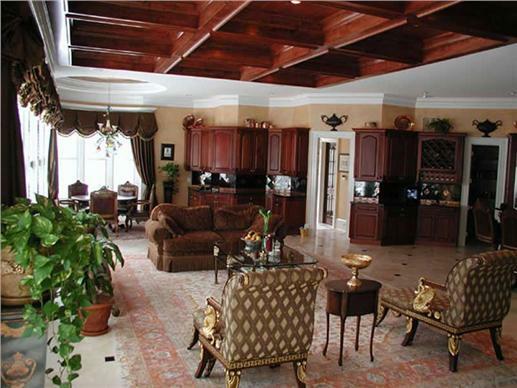 The huge master bedroom includes his and her walk-in closets and a master bathroom. Sunlight bathes the exterior of this beautifully landscaped two-story French European home with more than 8,000 square feet of living space (Plan # 134-1327). Not as grand as the Palazzo’s staircase, this one is still classically elegant—with its fine woodwork and graceful, winding ascent. 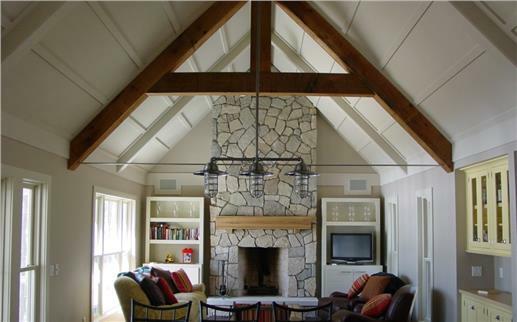 The Great Room’s vaulted ceilings and welcoming fireplace give the space warmth and comfort (Plan # 134-1327). Originally owned—and built—by producer Aaron Spelling, The Manor was sold to Formula One heiress Petra Ecclestone in 2011. On the sales block again, the property in Holmby Hills sits on 4.7 acres and consists of almost 57, 000 square feet of living space. 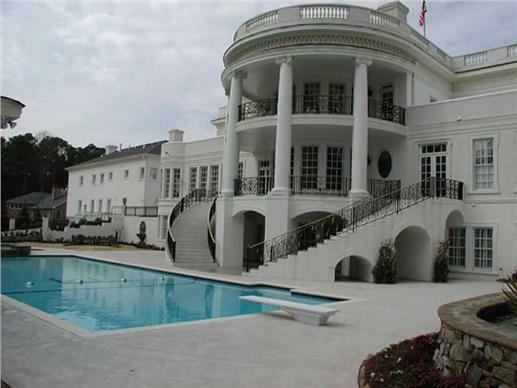 In addition to its seven bedrooms, The Manor has a pool, tennis court, gardens, game room, collector’s gallery, formal dining room, living room, gift-wrapping room, library, two-lane bowling alley, catering kitchen, five additional kitchens, and much more. This exterior view of The Manor (left) shows the fountain in the courtyard; at right are the estate’s gardens. 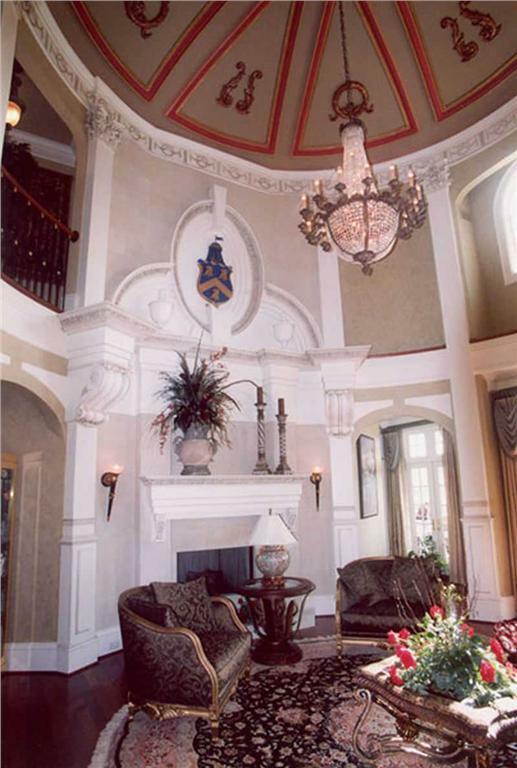 Antique furnishings and fixtures dominate the living room décor (left) as well as the other rooms designed for entertaining. Posh zip codes like Holmby Hills aside, there are wonderful alternatives for stylish living. Take this amazing two-story Colonial home with European and Southern touches. Its more than 8,000 square feet of living space boasts six bedrooms, six full baths, Great Room, sitting room, veranda, swimming pool, sun room, recreation room, and other great amenities. 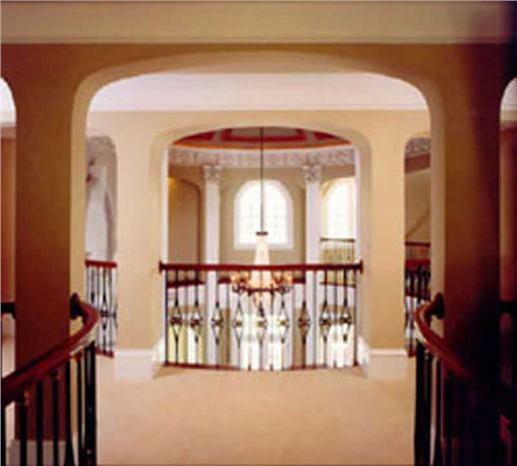 This courtyard entry (left) welcomes you to the luxury Colonial home; the back of the home has a swimming pool and double staircase leading to the main floors. 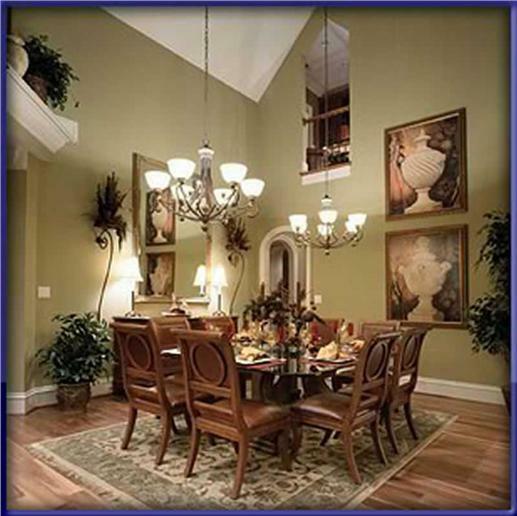 Inside the open floor layout is the Great Room (below left) and formal dining room (Plan # 106-1206). Designed by renowned architect Reginald Johnson in 1931, Rancho San Carlos—a home in the Montecito horse country—spans 237 acres and 29,000 square feet of space. 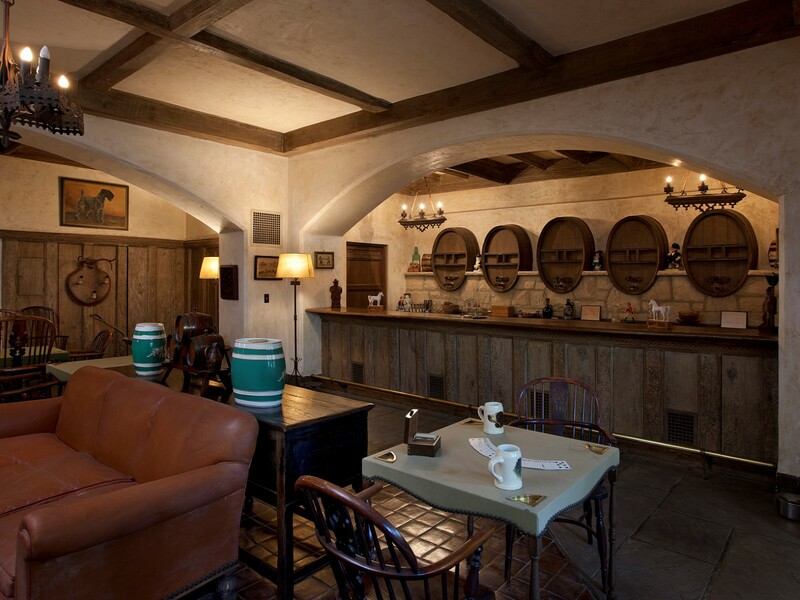 Built on a hilltop and surrounded by citrus groves, the estate has 10 residential cottages, an office building, and equestrian facilities that include two stables, two barns with a total of 21 stalls, and a covered riding arena of about 11,000 square feet. An intriguing feature is its authentic English whisky pub—discover it through a secret hallway from the library to a hidden door in the living room, which reveals a staircase to the pub. Drive through the winding path lined with citrus groves (left) and arrive at Rancho San Carlos, with its gorgeous formal gardens in the inner courtyard. This stunning living room/salon is furnished with period pieces, chandeliers, light sconces on the walls, and a piano (left); one of the many suites at the Ranch that have a view of the mountains. The authentic English pub (left), which is reached through a secret hallway and hidden door, comes with wooden casks, a fireplace, and a bar (right). This elegantly attractive one-story country home with European touches can push images of Rancho San Carlos aside. Country living has never been greater! 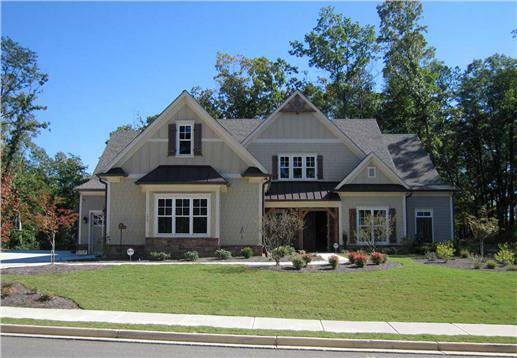 There are five bedrooms, five baths, Great Room with high ceilings, fireplace, study, sunroom, kitchen with a walk-in pantry, peninsula eating bar, and dining room. 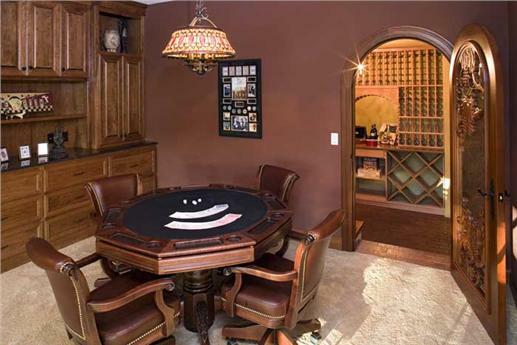 There’s also an exercise room, game room, and wine cellar. Step out of your car and feast your eyes on this amazing country home. Two stone columns with lit lamps illumine the driveway at dusk. 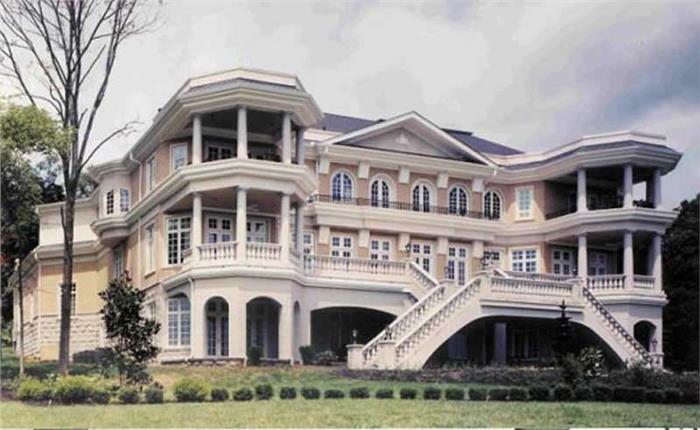 Two pairs of tall, white columns frame the covered front porch (Plan #165-1077). 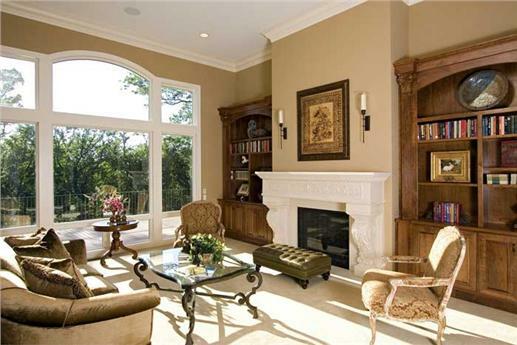 The living room—with fireplace—has tall windows that allow natural sunlight into the space (left). 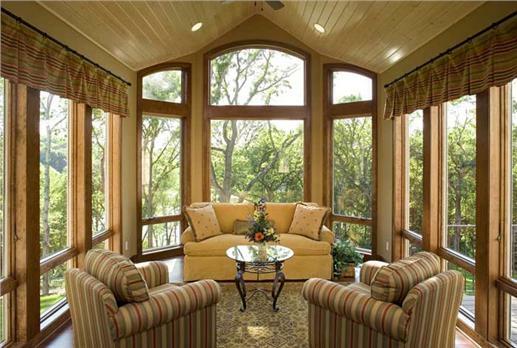 An enclosed sunroom can be cozy all year round. It's not a palace, but this luxury Colonial home—built on sprawling grounds—has more than 8,000 square feet of living space. 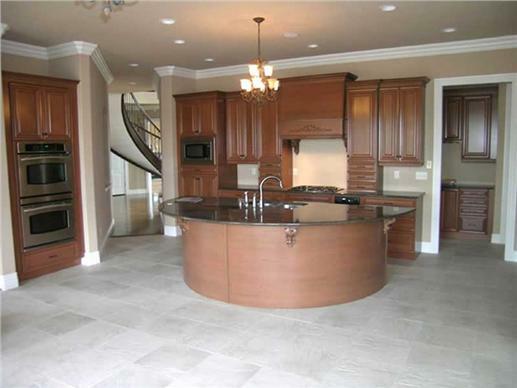 There are four bedrooms, four baths, two kitchens, and a walk-in pantry, dining room, and gorgeous Grand Room, which opens into a terrace with a double staircase. It has private verandas and all the amenities, including a gym, theater with a movie gallery, study, and billiards room. Built in 1884, the 69th Street Townhouse in New York City is a six-story property with 20,000 square feet of living space. Investor Vincent Viola and his wife, Teresa, the president of Maida Vale designs, bought the townhouse in 2005 and did an amazing renovation. The Upper East Side mansion has seven bedrooms, heated stairs and floors, and a library with a ceiling mural, a panic room, a mega-kitchen with a brick pizza oven, and a saltwater swimming pool. The roof deck, with its panoramic vistas of Central Park and the city, is part of the home’s 2,500 square feet of outdoor space. The modest-looking exterior of the Violas’ 69th Street Townhouse (left) belies what’s inside the New York City mansion. 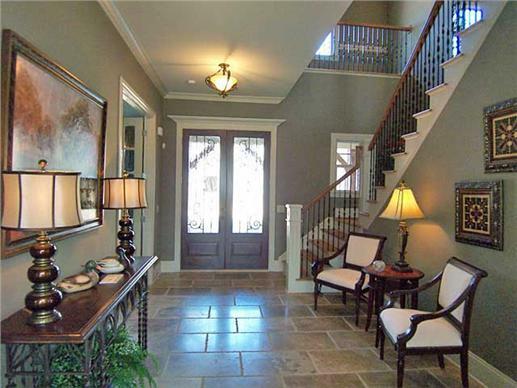 Open the doors from the street entrance, and walk into this striking heated foyer (right). There are more interior “treats”—including this awesome library with a skylight mural and a spiral staircase (below left) and a kitchen with a brick pizza oven and floors made or railroad tiles. While this modest-looking Craftsman-style home doesn’t have six floors and all the expensive features of the Upper East Side townhouse, it comes with lots of space—two stories, six bedrooms, five-and-a-half baths, a loft, a private elevator, a basement, and all the amenities you can want in a home. It’s surrounded by trees and has a well-maintained courtyard entry, views of natural landscapes, and a Great Room, fireplace, modern kitchen, walk-in pantry, mudroom, and recreation room. 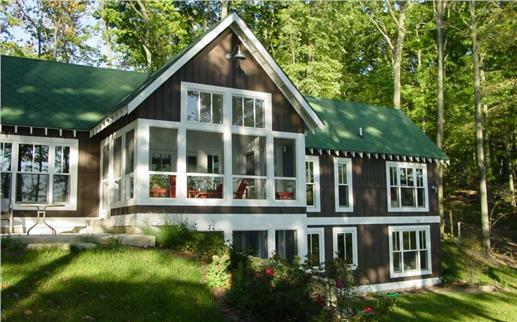 Don’t be fooled by the simple exterior of this Craftsman-style home (left). 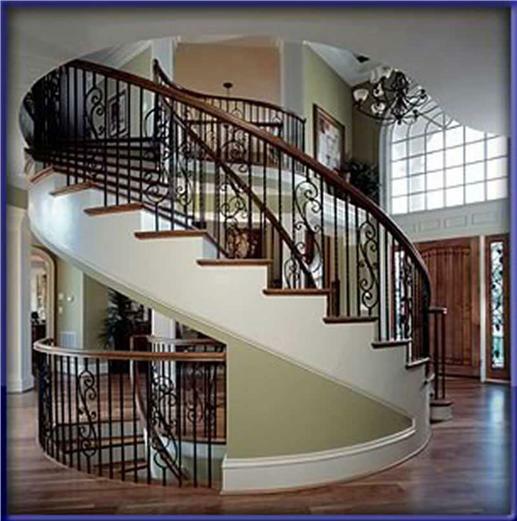 When you walk into the two-story gem, you’ll be greeted by its striking foyer and staircase, which leads to the loft. (Plan # 163-1047). The octagon-shaped penthouse at CitySpire in Manhattan’s West Side comes with six bedrooms and nine bathrooms spread over three floors and 8,000 square feet of space. It includes separate guest quarters, and eat-in chef’s kitchen with butler’s pantry, a wine cellar, and a master bedroom suite, which encompasses an entire floor of the penthouse. From that perch, one can see miles of the Hudson River and Central Park. Another instance of New York City living at its best, the CitySpire penthouse at West 56th Street provides panoramic views of the bridges, the Hudson River, and the city, of course, from one of the rooms and the master suite. New York City too hectic for you? 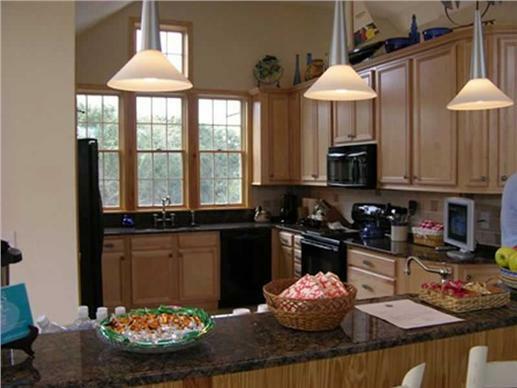 How about this fabulous Arts and Crafts/Shingle home with more than 5,000 square feet of living space on two floors and a finished basement? 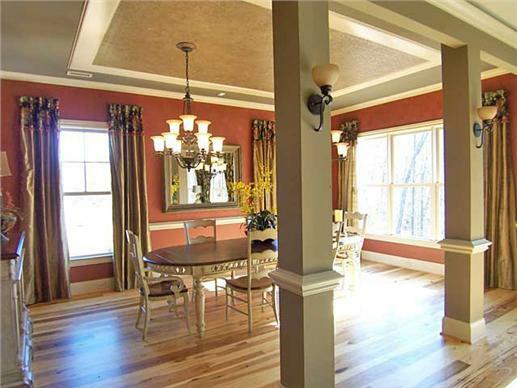 There are four bedrooms, three bathrooms, two half baths, a manicured courtyard, and a covered front porch. There’s a family room that takes you to a spacious deck, and down in the basement you’ll find a recreation room, home theater, guest suite, sitting area, and patio. Of course, you can watch the ocean waves from the deck. A beachfront English Tudor mansion once owned by the Woolworth family is up for grabs—for anyone who has an excess of $98 million. Located in Long Island’s Southampton—on 15 acres of land and more than 12,000 square feet—Wooldon Manor has 10 bedrooms, 12 full baths, three half baths, gardens, tennis courts, and a theater. 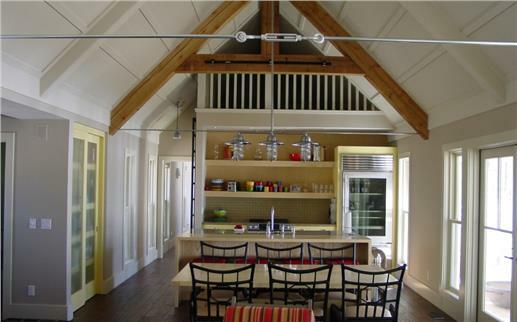 Wooldon Manor offers commanding views of the ocean (left) and grand rooms for entertaining in grand style. If you can’t afford the Southampton manor, and living by the beach is your style, you may want to look at a three-story, four-bedroom Florida style home. It has a wraparound porch, foyer, fireplace, decks, large kitchen, and two master suites with a whirlpool tub in each bath. Want more space? A coastal home with three floors, six bedrooms (three master suites that all have private decks), five bathrooms, and two half baths may be more to your liking. 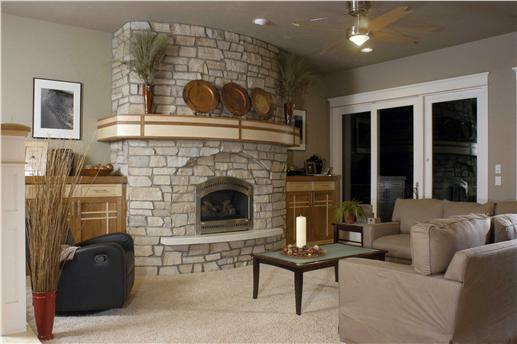 The home also features a Great Room with fireplace, recreation room, swimming pool with hot tub, loft, and wraparound decks. Less than two miles from the center of Woodside, California, is the landmark Flood Estate, one of the largest properties in Northern California. 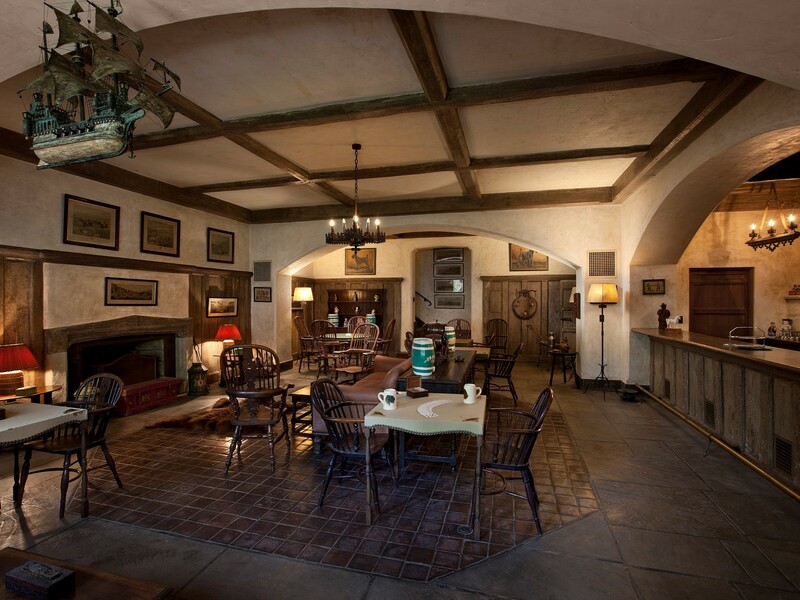 Spanning 92 acres of rolling hills, meadows, and woods, the complex was constructed in 1941 by silver-mining magnate James Flood and his family. 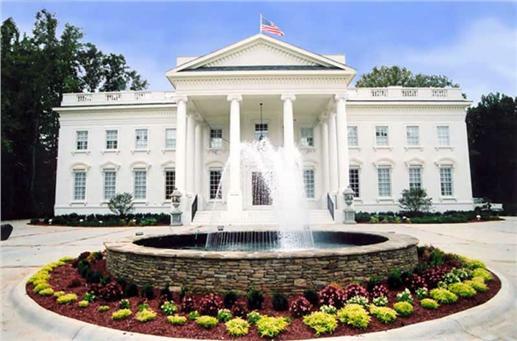 The centerpiece is a 9,000-square-foot Colonial-style mansion that features guest quarters, several suites, a library, a kitchen with butler's quarters, a formal dining room, and a library. The formal grounds were designed by Thomas Church, one of the country’s most renowned landscape architects. Flood Estate has two lakes, a caretaker’s cottage, barns, a gatehouse, a pool, and a tennis court. 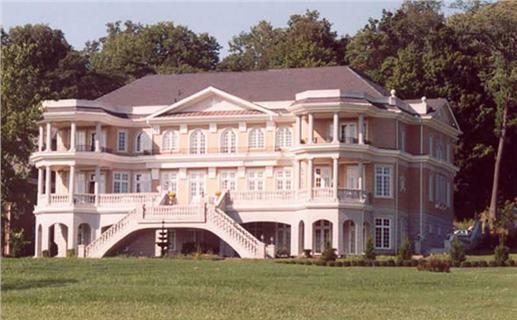 Take a peek at the main residence of Flood Estate from one of its private lakes (left). At right is a full view of the exterior and entrance of the Colonial style mansion. Amid the manicured grounds of Flood Estate, designed by landscape artist Thomas Church, is a swimming pool. 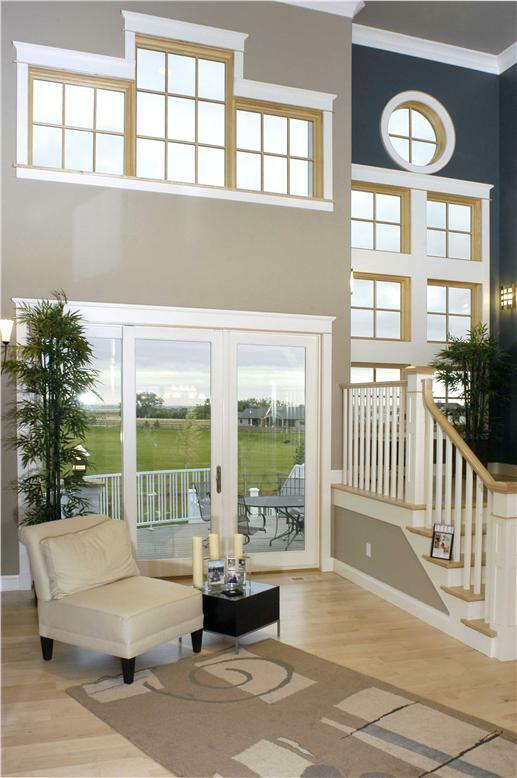 A homey living room/salon has glass windows that offer a glimpse of the lawns and gardens. Flood Estate, it’s not! 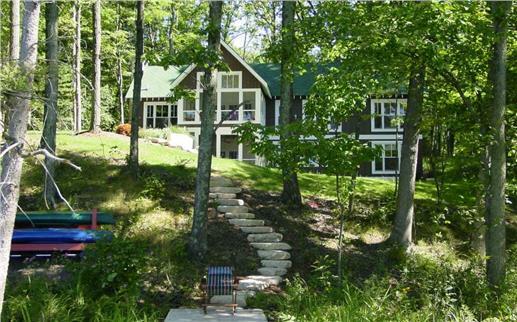 But, this delightfully sunny, appealing, and spacious vacation home with its own private woods can be your very own. And perhaps Santa may be persuaded to deliver this home to your home for Christmas. Built on a hill surrounded by tall shade trees, the two-story home has three bedrooms, a family room, a Great Room with the kitchen-dining-living areas, and a laundry room. 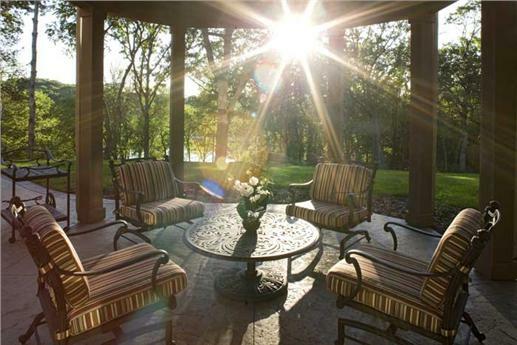 A rear screened porch opens to an outdoor area that provides a lot of quiet and privacy. 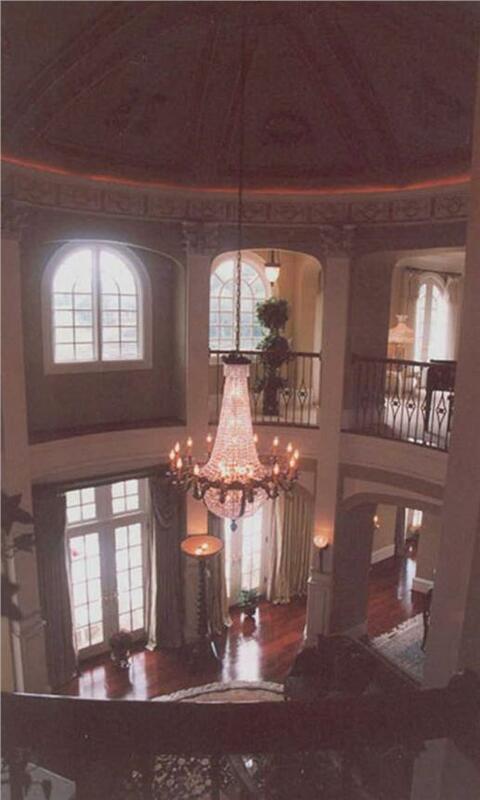 A two-story mansion with 27,000-plus square feet of space on 2.5 acres, Chateau Carnarvon is located in the Memorial area of Houston, one of the wealthiest zip codes in the city. 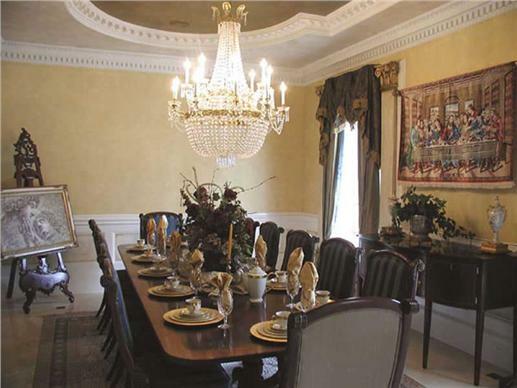 Inspired by Versailles, the Neoclassical estate consists of eight bedrooms, seven bathrooms, informal and formal dining rooms, and a reception hall, salon, music room, family room, sunroom, and breakfast room. 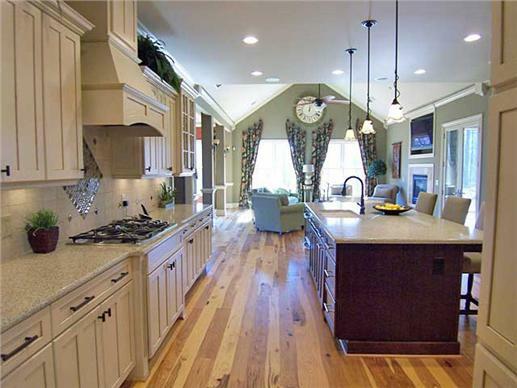 For food lovers, there is an entertaining kitchen, a catering kitchen, and a butler’s pantry. …and an elaborately decorated winding staircase. 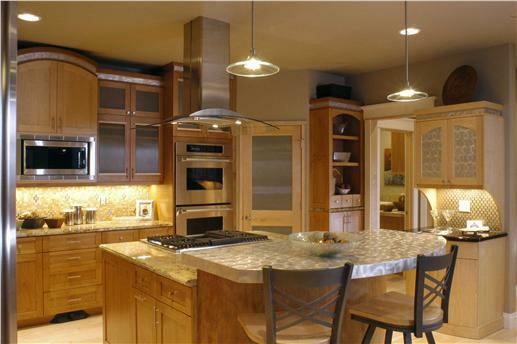 The elegant kitchen has clean, modern lines and an attractive blend of colors in its furniture. Our own Texas-style luxury home—a French Colonial design—features almost 4,000 square feet of finished space that includes a courtyard, four bedrooms, three baths, one half bath, and a terrace, library, family room, dining room, kitchen, and living room. The unfinished basement contains close to 3,000 square feet. The master suite has a sitting room and powder room. 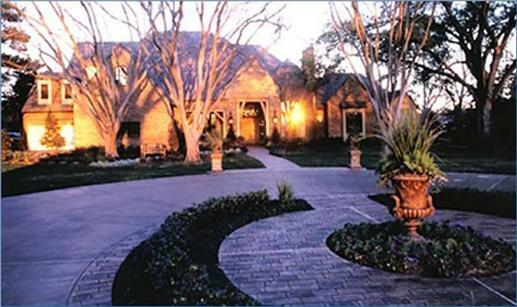 Our little tour shows that even without mega millions, you can have the gorgeous home you’ve always wanted! ‘Twas the night before Christmas … is that Santa knocking on your door? Footnote: The lead image in this article is an airial view of the former Wooolworth family summer estate in the Southampton, NY. To view more, click here.